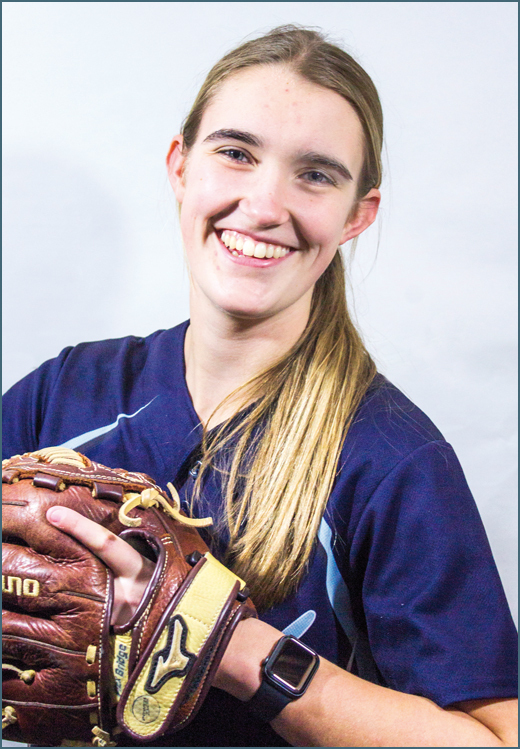 Robison, the team’s first baseman, is heading to nearby SFCC (or the Community Colleges of Spokane as their athletic programs are known) after an early offer by the coaching staff stuck with her during her junior year. 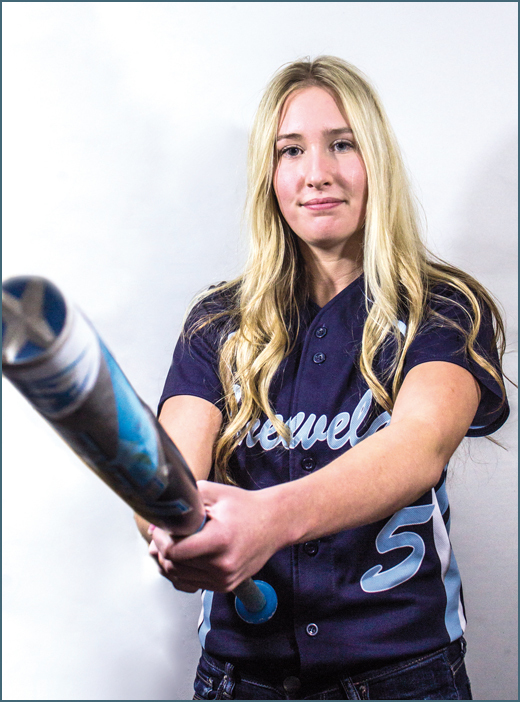 Competitive could be used to describe the Chewelah softball program which has taken fifth place the past two years in the state tournament. Now, after dropping down the 2Bs, the girls have their sights set on Yakima when state tournament time comes around. One of those exciting moments? Beating the No. 1-ranked team in Washington at the state tournament last year. Robison said she had the desire to play at the next level when she was eight-years-old and softball was her passion. “If I could I would play it year round,” Robison said. After a particularly good game against Lakeside, Robison was approached by Community Colleges of Spokane (Both SCC and SFCC have a joint athletic program) coach Fuzzy Buckenberg, who asked her to call him after the season to discuss what the college could offer her. Still, Robison and her family contacted CCS and other colleges like North Idaho, Whitworth and Olympic College. In 2018, Robison hit .392 with 10 doubles and 17 RBI. The coaching staff was super welcoming and helpful as the team ran through drills and batting cage sessions. She talked with CCS Coach Lindsie Scholwinski afterwards, and she showed interest in Robison, saying she would call within a week. Instead, she emailed Robison the next day. Robison will continue playing in her position at first base at CCS and be a competitive part in the eastern portion of the NWAC. She plans on getting her prerequisites for Dental Hygiene. Madison Koler will be taking her bat and glove to Yakima Valley, and NWAC pitching is probably going to be amiss that she made the move. To say Koler has had fun during her softball career might be an understatement. She seems to be having the most fun out of anyone on the diamond. Her ability to lead with a positive attitude also helps the Cougar dougout immensely. Koler said that the recruitment process was filled with a lot of emotions but in the end was worth it. Koler said her family has helped her out through her entire softball career, especially her mom Sheila and dad Lace. Koler said she plans on studying physical therapy during college and one day open her own practice. But before then, she’ll be practicing on the softball diamond. “The plan for the team is to play solid defense, minimize errors and hit consistently and drive in runs,” Koler said. Judging by her high school career that shouldn’t be too tough. Now she still has her senior season ahead of her for the Cougars and she’s easy to spot. She’s the Cougar batter with the Marine Corps sticker on her helmet. While moving down to 2B is something of an unknown for the Cougars, you know both Robison and Koler will want to come out on top this year. ‹ Disagreement emerges at council parking forum	› FROM THE EDITOR: So what are we going to do about parking in Chewelah?